Welcome to the Marlott Cultural Society! This is the text for a demonstration front page for My Society Website. Anyone who knows the login ID can change this text. It's as easy as writing an email. The text can be formatted a number of ways. You can write parts in bold to add emphasis. Italics are also available. You might have a paragraph that you want highlighted. With one click, it can be displayed like this, with a vertical bar running down the left. To get this, highlight the text in the editor and press the 'quotes' icon. Finally, you can add links. For example, if you have an application form for an event, you can encourage people to download the form. Here is a document that could be the latest newsletter. It's actually just a sample document. You can upload documents to the website very easily. Remember: you don't need to be an IT genius to be able to update your website. If you know how to send an email, or perhaps write a letter on your computer, then you have all the skills you need! The cloth consists of some fifty scenes with Latin tituli, embroidered on linen with coloured woollen yarns. It is likely that it was commissioned by Bishop Odo, William's half-brother, and made in England—not Bayeux—in the 1070s. In 1729 the hanging was rediscovered by scholars at a time when it was being displayed annually in Bayeux Cathedral. The tapestry is now exhibited at the Musée de la Tapisserie de Bayeux in Bayeux, Normandy, France (49.2744°N 0.7003°W). 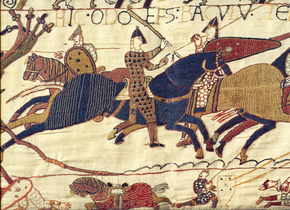 The designs on the Bayeux Tapestry are embroidered rather than woven, so that it is not technically a tapestry. Nevertheless, it has always been referred to as a tapestry until recent years when the name 'Bayeux Embroidery' has gained ground among certain art historians. It can be seen as a rare example of secular Romanesque art. Tapestries adorned both churches and wealthy houses in Medieval Western Europe, though at 0.5 by 68.38 metres (1.6 by 224.3 ft, and apparently incomplete) the Bayeux Tapestry is exceptionally large. Only the figures and decoration are embroidered, on a background left plain, which shows the subject very clearly and was necessary to cover large areas. On 18 January 2018, French President Emmanuel Macron announced that the Bayeux Tapestry would be loaned to Britain for public display. 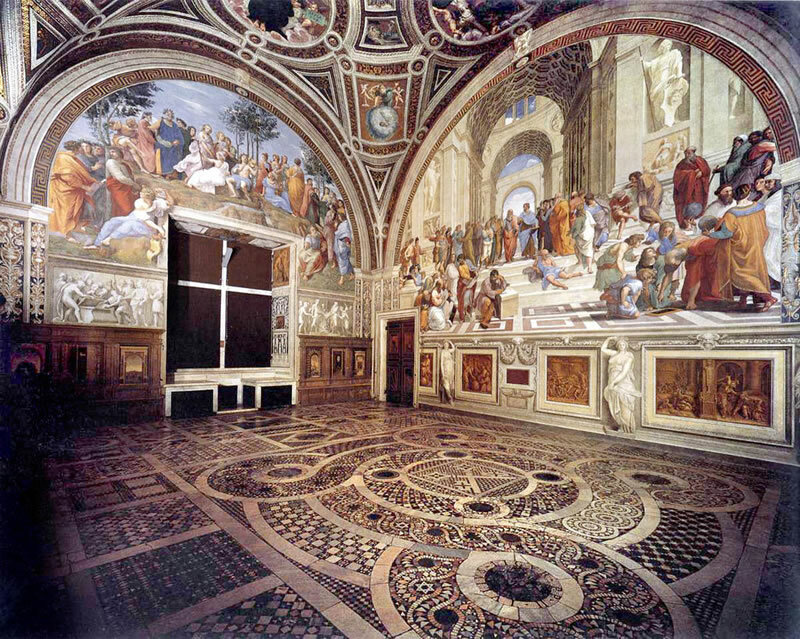 It is expected to be exhibited at the British Museum in London, but not before 2020. It will be the first time that it has left France in 950 years. Click here to see details of all future events.